Molecular diagnostics company Asuragen has expanded its technology into a new disease area—spinal muscular atrophy—with the launch of the AmplideX PCR/CE SMN1 Kit. The kit, for research purposes only, extends the company’s technology to include the quantification of gene copy number variations by providing a simple and scalable determination of functional SMN1 copy number in as few as four hours. Compatible for use on Applied Biosystems capillary electrophoresis instruments, the assay works seamlessly with the company’s AmplideX Reporter software for automated reporting of results. 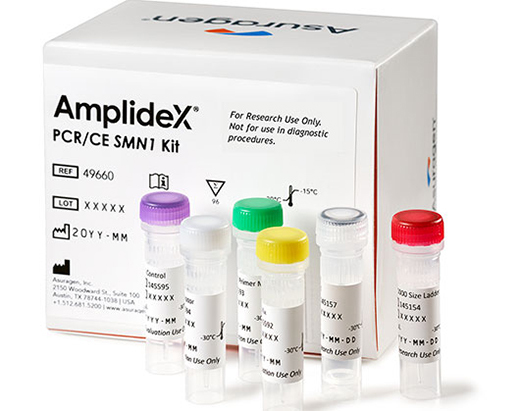 Other assays in the AmplideX portfolio of PCR/CE based test kits for genetic targets include FMR1, DMPK, C9orf72, and TOMM40. Kits in the pipeline, but not yet on the market include the AmplideX PCR/CE SMN1/2 Kit, the AmplideX PCR/CE HTT Kit, and the AmplideX PCR/CE CFTR Kit, all of which will share the workflow common across all AmplideX products.